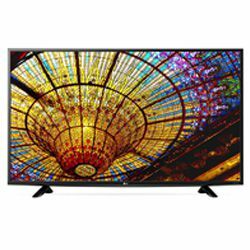 LG 43UF6400 vs 43UJ6300 – what is the best solution for you? I had a chance to test and compare two solutions from LG – LG 43UF6400 vs 43UJ6300. 43UF6400 is from the UF6400 series and 43UJ6300 belongs to the UJ630 series. These series also include other high-performance, reliable models. The 43UF6400 is a 2015 year model, while 43UJ6300 was released in 2017. However, both models belong to the mid-low price range, since they cost around $300. Nevertheless, they have many useful functions. These two models have IPS displays and they use the same backlight technology – Direct LED. 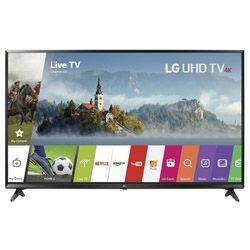 These TVs support the modern 4K standard, the refresh rate is 60 Hz, but both models use the TruMotion technology that decreases blurring of the image during the most dynamic scenes. 43UJ6300 uses active HDR optimization and the True to Life Color technology. 43UF6400 uses the Tru-4K Engine technology to assure the high quality of the picture. Both solutions use WebOS, but comparing LG 43UJ6300 vs 43UF6400 in terms of the software, we will see that 43UF6400 uses WebOS 2.0 while 43UJ6300 uses WebOS 3.5 (which is stable and faster). Both models have powerful processors installed and both TVs work fast (even 43UF6400, which is a 2015 year model is quite responsive). WebOS is user-friendly and you can easily find the content you want. 43UJ6300 features the SlingTV technology that allows you to customize the channel lineup. 43UF6400 is energy start certified. These models look almost the same – they have a very stable Y-shaped stand. Both TVs are slim and 43UJ6300 can be wall-mounted. They have a very narrow bezel. The dimensions are 38.42x24.48x8.2 in for 43UF6400 versus 38.5x24.2x7.4 in for 43UJ6300 (with the stand that is around 2 in high). 43UF6400 features 2 HDMI and 1 USB ports and 43UJ6300 has 3 and 2 ports respectively. These models come with ergonomic remote controllers. The TV is quite flexible – it has many adjustments and video enhancement features that make the picture look stunning. It is easy to use, even if you are not familiar with Smart TVs. It may process movement poorly (the “soap opera” effect). The upscale feature is not great (the quality is not perfect). The Wi-Fi module may not work (it does not connect). Easy to set up due to the step-by-step LG guide and the user-friendly menu. The picture is clear and the colors are saturated. You may need to turn off Smart Picture Mode and the Energy Saver technology to make the picture look better. The remote controller too small.